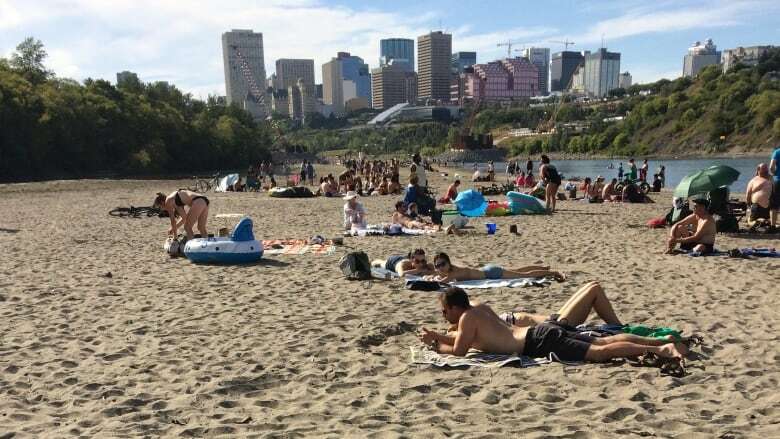 Anyone banking on a more permanent beach on the North Saskatchewan River within Edmonton city limits shouldn’t hold their breath. 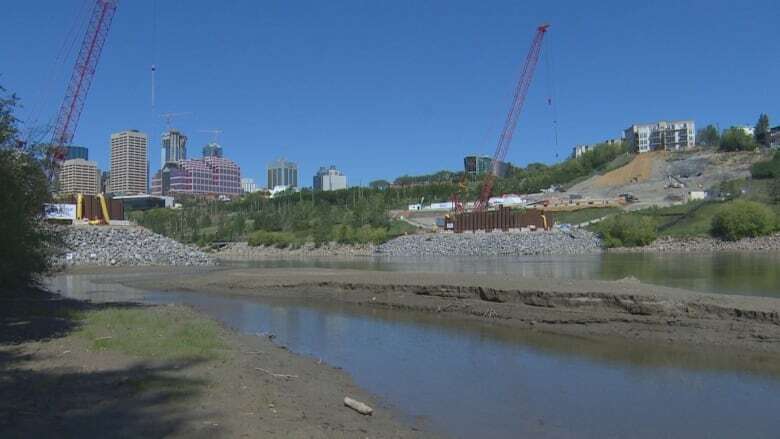 Anyone banking on a more permanent beach on the North Saskatchewan River within Edmonton city limits shouldn't hold their breath. City councillors agreed Wednesday to shelve the option of turning Accidental Beach in Cloverdale into an urban beach. At the same time they took five other possible beach locations out of consideration. Hundreds of people flocked to the pop-up riverside beach in late summer 2017, but this year the biggest crowd spotted on the Cloverdale sandbar was about 50, a city report shows. For Edmonton's unintended beach, was last summer just a happy accident? Mayor Don Iveson said he's fine with leaving the next one up to fate. "Everyone loves the idea of this but probably wouldn't love us spending millions and millions and millions, given that it comes and goes," Iveson said during Wednesday's community and public services committee meeting. The city had identified six locations as possible permanent beaches: Big Island, Terwillegar Park, Fort Edmonton Footbridge, Capilano Bridge, Rundle Park and Cloverdale. The report in front of the committee showed preliminary designs for each of the possible beach locations would cost between $900,000 and $1.3 million. The amount doesn't factor in costs for assessing adjacent historic resources or remediating potential contamination of water. Coun. Scott McKeen said before seeing the report, he didn't realize how much a permanent beach would cost. "This is fraught with variability or unpredictability, including public demand, we don't know why public demand was down this year, it could have been weather and the state of the beach." McKeen said Accidental Beach got a lot of hype last year when it appeared, possibly creating a 'bubble of interest." "I'm leery about spending a bunch of money on something this dynamic, that could disappear." Accidental Beach formed unexpectedly last summer as a result of construction weirs installed on both banks of the river, to build a bridge for the Valley Line Southeast LRT. The weirs created an eddy that drove sediment onto the existing sandbar. Low water levels in 2017 led to the formation of a sandy beach. Iveson noted that when construction on the bridge is finished, the weirs will be removed. Then, the city would need to deal with more complex rules with the provincial and federal governments. "If we were to ask to leave them [weirs] in and interrupt the flow, then that has Fisheries implications, requires mitigations elsewhere in the river," he said. "And I'm guessing that that is not a $100,000 kind of issue, that's a millions of dollars issue." As sandbars may turn into beaches next year, like at the Fort Edmonton footbridge, the city is ready to provide amenities and services like garbage cans, portable toilets and parking control. Jason Meliefste, branch manager of infrastructure, planning and design, said his team will be ready to make the next beach experience safe and clean. "I think we're going to take a lot of the lessons learned with Cloverdale beach, and we'll be monitoring for garbage," he said. "We'll be looking at numbers and surveying how many people are using it." The city still plans to talk to Cloverdale residents this fall to gauge the success of the added amenities this year and is being instructed to send committee a memo with the results. Natasha Riebe landed at CBC News in Edmonton after radio, TV and print journalism gigs in Halifax, Seoul, Yellowknife and on Vancouver Island. Please send tips in confidence to natasha.riebe@cbc.ca.